It may not be particularly fashionable in architectural circles, but I’ve long had a rather large soft spot for Art Deco buildings. 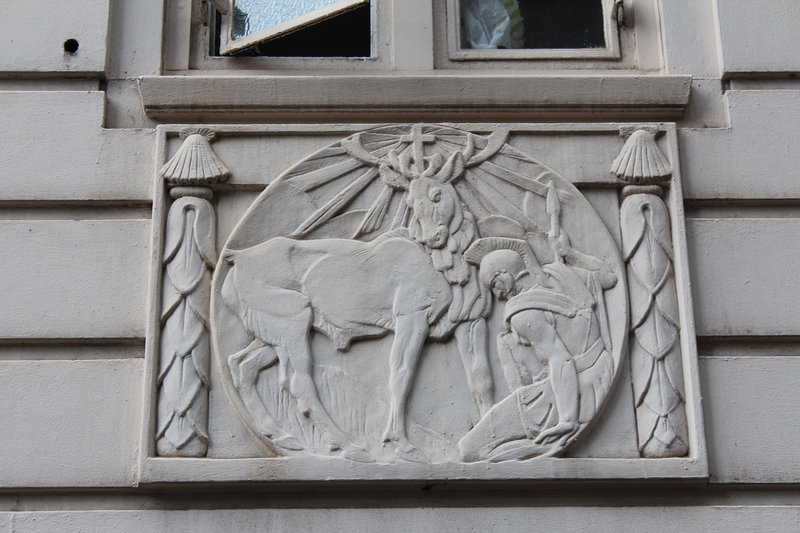 So when I heard that Yannick Pucci (aka @ypldn) was running the first of his new Art Deco walking tours as part of the annual Bloomsbury Festival it went straight into the diary. I don’t want to give away all of Yannick’s secrets here, so this will be more of a pictorial post. 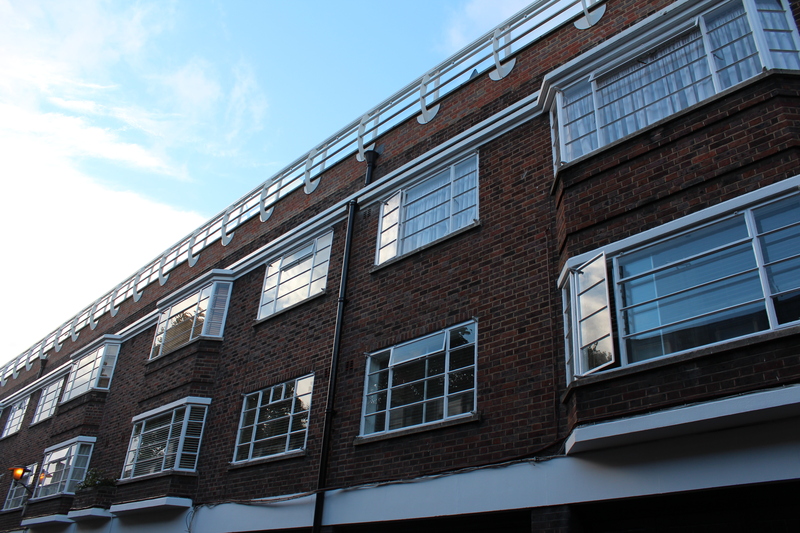 And the buildings shown here are by no means all of the ones included on the walk – yet more deco delights await you in Bloomsbury. Having said that, I do want to write just a little about my favourite stop on the walk: 7-11 Herbrand Street. 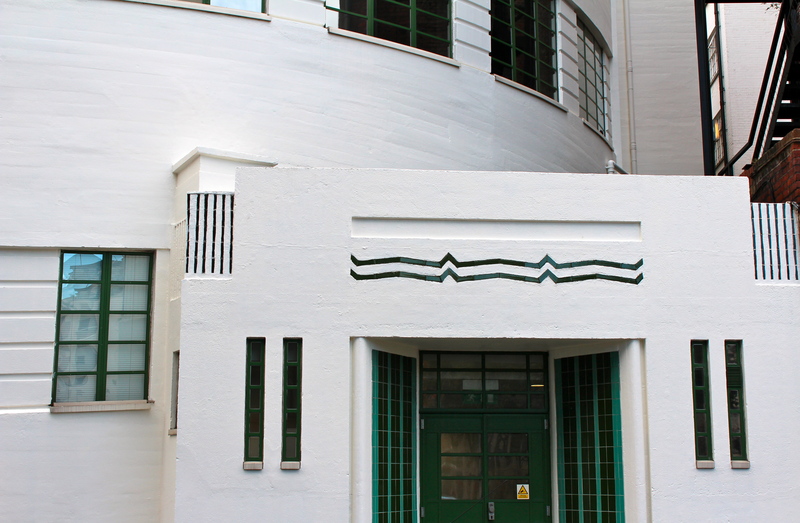 This stunning white, black and green example of Art Deco started life as a Daimler car hire garage and also did time as a car park – the circular section on the right was the ramp for cars. 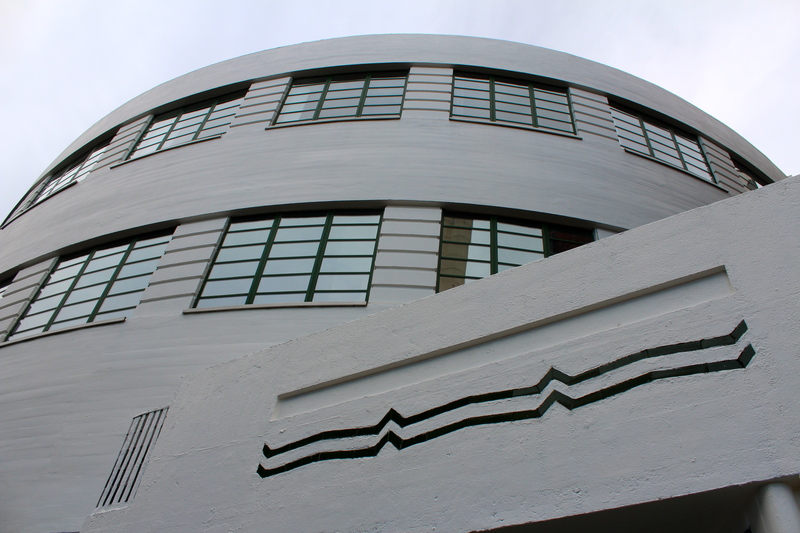 Built in 1931 by Wallis, Gilbert and Partners (who were also the architects behind Perivale’s Hoover Building and the Victoria Coach Station), this structure has a little bit of everything for the art deco fan (zigzags! tiles! patterns! circular motifs!) and really is worthy of its own blog post. 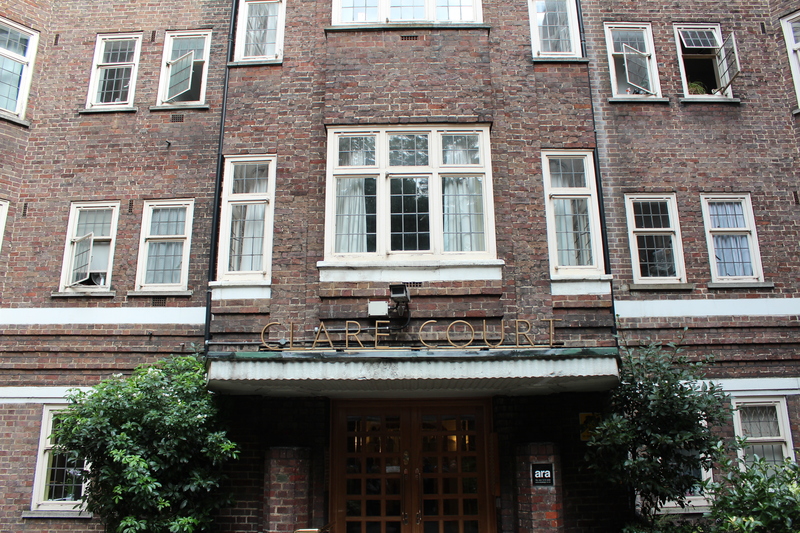 Today it is home to advertising giant McCann London. 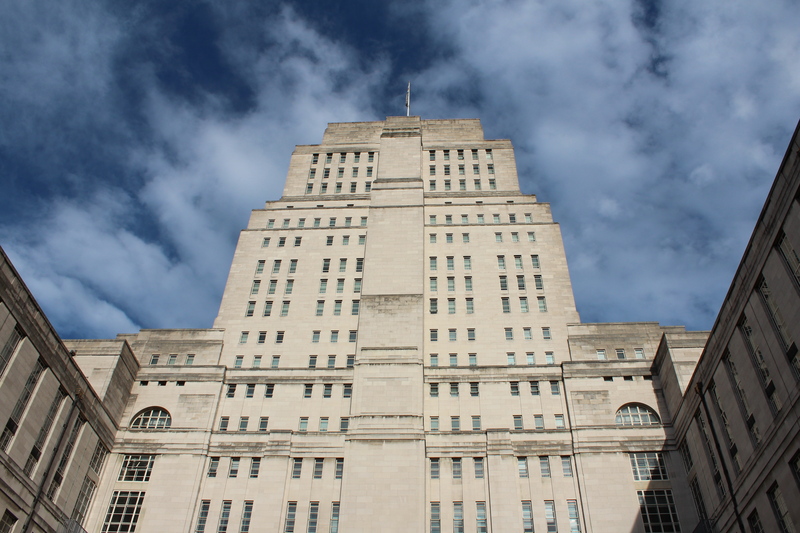 And last but most certainly not least, the magnificent Senate House, University of London. Designed by Charles Holden (the architect of over 50 tube stations, and much more besides), this 19-storey mammoth was indeed London’s first skyscraper. 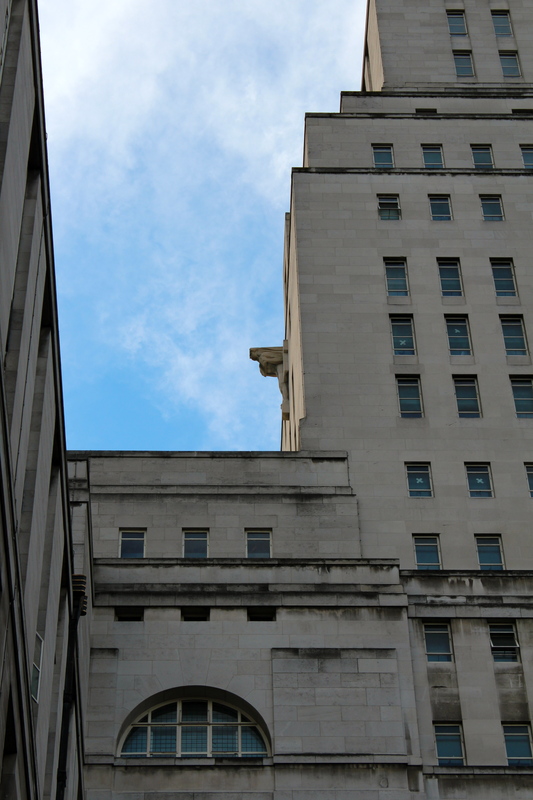 It was taken over by the Ministry of Information during World War II and famously inspired George Orwell’s vision of the Ministry of Truth in his novel Nineteen Eighty-Four. 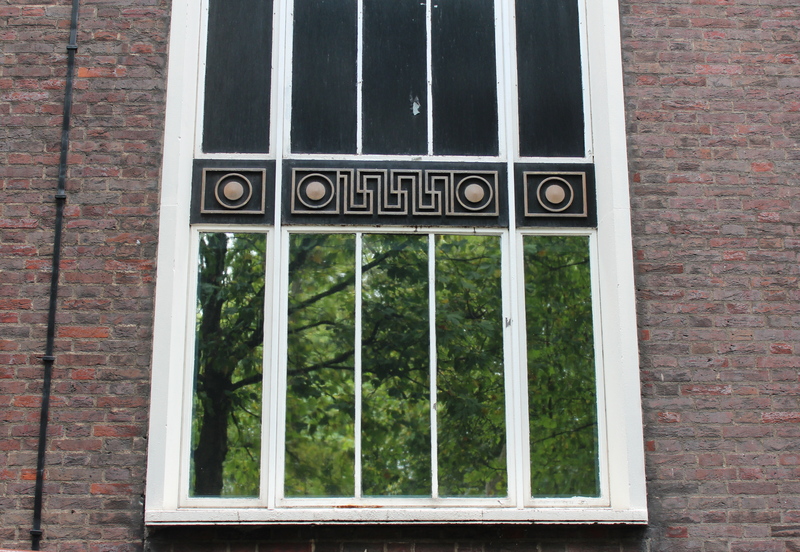 The good news is that Yannick will be running more Art Deco treks around Bloomsbury in the future. 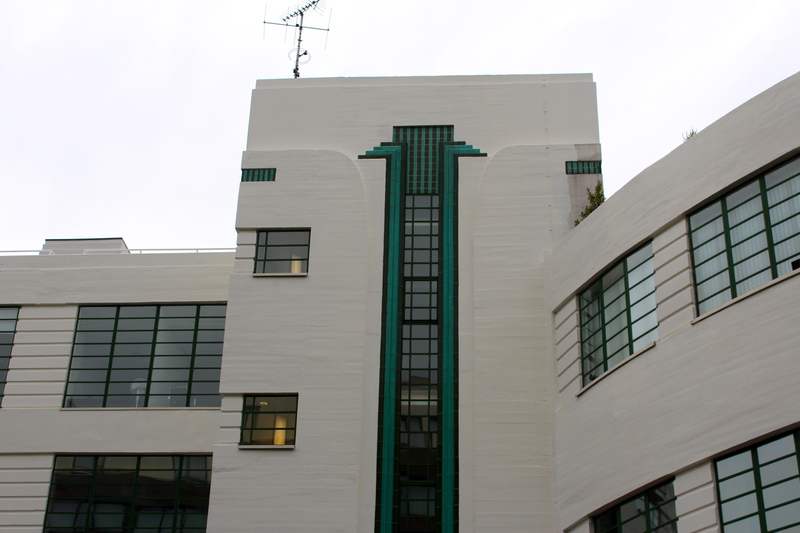 He has just added new dates in November (the 2nd and the 30th); also keep an eye on the Art Deco walk page on his blog. 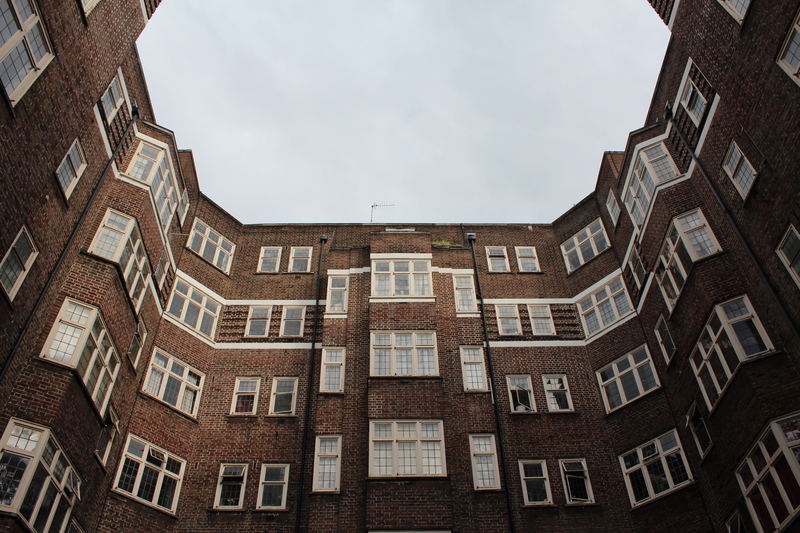 This fabulous tour also covers other significant architectural sites in Bloomsbury in passing, so is highly recommended for all lovers of London’s architecture.